You’ve never had a cup of coffee like this before. Coffee so fresh it smacks you, as Jessica Dunne likes say. 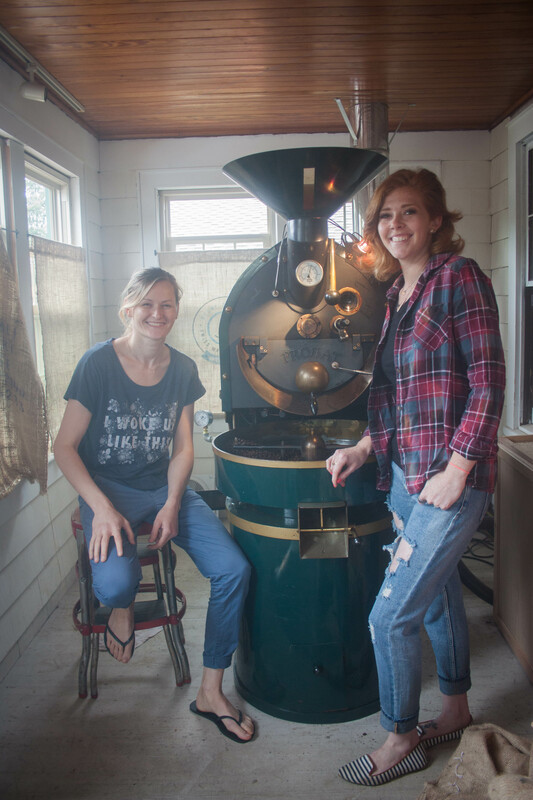 Dunne is one part of the duo behind North Fork Coffee Roasting Co. The artisan company opened in Southold on Valentine’s Day. An enticing smell wafts out the door of the little building on Main Road in Southold, so delicious and unique it’s impossible to not step inside. The scent continues to the counter where two smiling young women are waiting for me to order a cup of coffee and offer a few insights into that java to go along with the experience. At the moment, Dunne and partner Jennilee Morris are giddy, their coffee roaster had just arrived. The roaster has to be at least 800-pounds and takes up a huge chunk of space on their back porch, where the two hope to also add more seating. “With roasting you’re in total control of what you want your product to taste like,” Morris said. North Fork Coffee Roasting Co. is the epitome of seed to cup. 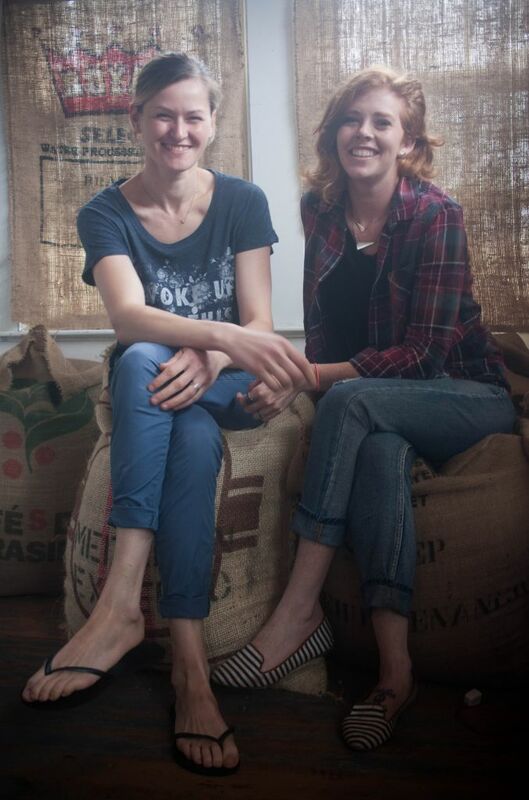 The two self-described coffee obsessed women import their own beans. They start by tasting coffees they are going to buy, keeping in mind that coffee is a crop and so it changes year to year. After they decide on and buy the beans they drop a small batch in the roaster and do a profile roast until they know the perfect way to roast a particular bean. Beans roasted in eight-pound batches allow the two women to keep an eye on the product. At any given time North Fork Coffee Roasting Co. has seven different types of coffee in stock. Most they change out every one to two months, although others, like their house blend and espresso blend they keep on hand. 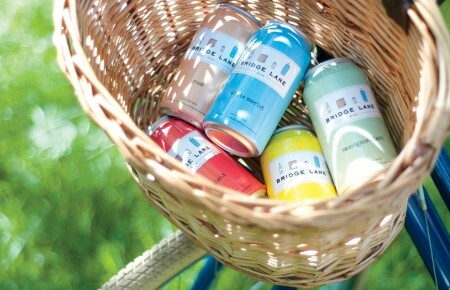 “We want something that people can drink every day but that is also a bit funky,” Dunne said. The new favorite, Sidamo, from an Ethiopian Arabica bean is exactly that. With notes of blueberry and lemon, it quickly became a bestseller when the women added it to their rotation and now may have a permanent place. They see part of their role as roasters as to educate people on how to brew the beans and what to look for when tasting. 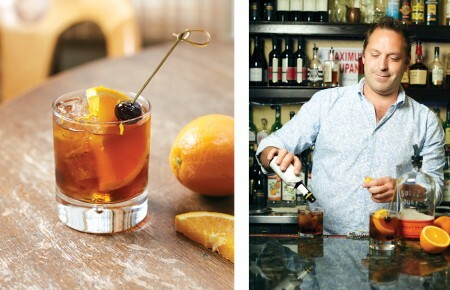 The two met when Morris was roasting coffee and managing Love Lane Kitchen in Mattituck. Dunne, who had just started Ginger Goods Bakery, was selling her products at the farmers markets and Morris’s love of coffee quickly wore off on her. There’s more to North Fork Roasting Coffee Co. than just coffee though. There’s a selection of fresh pastries, cold brewed teas, local juices and other speciality drinks and plans to start offering snacks. And then there’s the space itself, which can only be described as cool with a laid-back vibe so familiar to the North Fork. A corrugated metal coffee bar greets you when walk in and a large communal table with plush benches takes up most of the space. It’s the type of place you can hang out for a while. As more and more people discover the coffee at North Fork Roasting, that’s exactly what they’ll do.